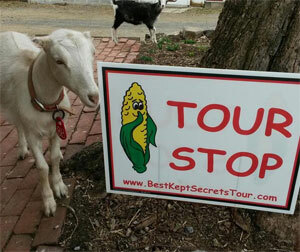 Join the Best Kept Secrets Tour for a fun adventure of shopping, exploring, and food. Your tour package will highlight up to 40 off-the-beaten path businesses throughout Lancaster County. Travel place to place taking advantage of the valuable coupons in your package. You’ll also enjoy all the special free refreshments, games, gifts, demos, and other things the participating businesses have planned for you. Every tour is different. What a fun way to explore unique and fun places around Lancaster! Tickets are inexpensive. Join us on one of this year’s tours.